This document may also be known as the Parent Statement. The rationale for this series of questions is to have you, the parent or guardian, answer questions about your child. There is the understanding that you know your child better than any teacher or counselor, so your thoughts matter. Your answers should help the admissions staff get to know your child better. However, it's important to be realistic about your child and remember that every child has both strengths and areas in which he or she can improve. Don't paint a picture-perfect vision of your child. It' important to be genuine and authentic. Some of the questions can be personal and probing. Be careful not to distort or avoid the facts. For example, when the school asks you to describe your child's character and personality, you need to do so succinctly yet honestly. If your child has been expelled or failed a year, you must address the issue forthrightly and honestly. The same goes for information related to educational accommodations, learning challenges, and emotional or physical challenges your child may experience. Just because you disclose information that may not be a glowing positive, doesn't mean that your child isn't a good fit for the school. At the same time, full explaining the needs of your child can help the school to assess if they can provide the necessary accommodations to ensure success. The last thing you want to do is send your child to a school that can't meet your child's needs. Always print out a copy of the questionnaire or copy the questions into a document on your computer. Use this secondary place to write a rough draft of your answers to each question. Edit for coherence and clarity. Then put the document aside for twenty-four hours. Look at it again a day or so later. Ask yourself how your answers will be interpreted by the admissions staff who do not know your child as you do. Have a trusted adviser or, if you have hired one, your educational consultant, review your answers. Then input your answers into the online portal (most schools require online applications these days) and submit along with the other documents. Do not underestimate the importance of the Parent Questionnaire. Something that you may say in your answers could resonate with the admissions staff and make them feel a connection to you and your family. Your answers might even tip the scale in your child's favor and help the school understand how they can play a primary role in your child's education, helping him or her succeed and achieve their best, both during the years attending the school and beyond. Take plenty of time to craft thoughtful, considered answers that accurately reflect you and your child. Do not have an assistant answer these questions for you. Even if you are a very busy CEO or a single parent working full time and juggling multiple children, this one document is extremely important; make time to complete it. This is your child's future at stake. Things are not like they used to be decades ago when perhaps the mere fact that you were an important person would suffice to get your child admitted. The same is true for consultants. If you are working with a consultant, it is still important that your questionnaire, and your child's portion of the application (if he or she is old enough to complete one) should be genuine and from you. Most consultants would not write the responses for you, and you should question your consultant if he or she suggests this practice. The school will want to see evidence that you personally have tended to this questionnaire. It is one more indication to the school that you are a committed and involved partner with the school in your child's education. 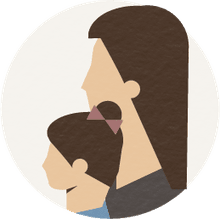 Many schools highly value the partnership with parents and family members, and investing your time in the parent questionnaire can show that you're dedicated to supporting your child and that you will be an involved parent. How Can You Help Your Child with Test Taking? Do Colleges Google Applicants and Look at Facebook?